If you are an offroad enthusiast, drive a commercial vehicle, or own a truck, then you know Cooper. Cooper Tire & Rubber opened up shop in 1914 and, though independent dealers and sellers, has grown to become the 11th-largest tire maker in the world. 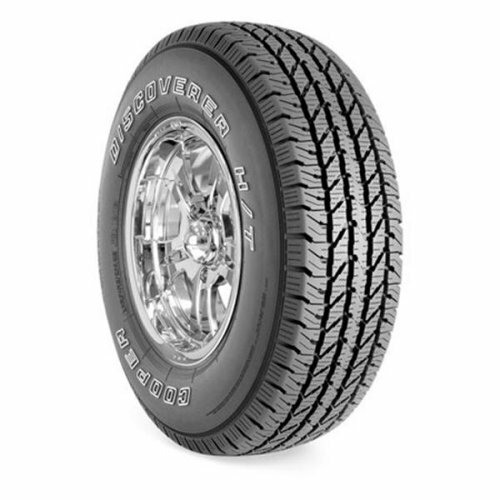 Cooper makes mostly premium and mid-tier tires in most common on-road vehicle sizes, but is best known for its highly reputable offroad-ready truck tires and its commercial vehicle fleet tires. In a surprise announcement last month, Cooper said that it would be bought out by the newer and smaller Apollo Tyres of India in a $2.5 billion deal. The deal was a shock because Apollo is a larger company by volume, but smaller in U.S. sales and overall net worth. The two companies had been talking about collaborating in Europe and Asia to both expand Cooper's reach and add product lines to Apollo's lineup. The negotiations eventually lead to a stock buyout offering to Cooper's shareholders. Reactions to this were mixed. The company's thousands of independent dealers across the U.S. were generally unhappy, but downplayed the negatives while the press took either the "selling out" tack or the "it won't be so bad" angle. Now that there's been some time for the initial shock to wear off, things are still a mix, but at least the contradictions have settled and we can see what is likely to come of this buyout deal. Let's begin by looking at the bad points in this sale. Nearly all Cooper tires sold are after-market, meaning they're sold directly to consumers rather than to automakers to put on new vehicles. The vast majority of these after-market sales are in pickup truck and commercial tires, though passenger vehicles are not an insignificant part of Cooper's overall lineup. As Cooper dealers have acknowledged almost overwhelmingly, those truck and commercial buyers are often sold on Cooper because it's American made. Now that the company is no longer American-owned, this will no longer be as compelling a reason to buy and many of those buyers can be expected to begin favoring another brand. Truck owners and commercial fleet operators are often very brand loyal and when they feel their brand has betrayed them or done something wrong, that loyalty can very quickly become a grudge. Cooper's primary marketing effort under Apollo ownership will be to convince these loyalists that they haven't been betrayed. We'll discuss how that can happen in a moment - and note that Cooper has already begun this effort. Next, this will hurt the Cooper brand overseas as it will almost assuredly no longer be exported in the way it has been thus far. Cooper is not a strong-selling brand outside of North America, but it has made sales inroads in several markets. Apollo is, for the most part, already in those markets and will likely begin building Cooper tires on its own lines in those markets, meaning they will not be American exports going there, but will instead be a sort of "knockoff" which reduces Cooper's overall brand value and, of course, reduces the overall export power of the U.S. as a whole. Finally, the move may mean that key buyers of cooper tires, specifically in government, will be required by law to go elsewhere for their tires. Most government fleets favor domestic brands and this is a not-insignificant market. While Cooper doesn't hold the lion's share, by any means, it is a part of their business. There is a good point here, though, since most agencies base their purchase on the "Made in America" label requirements rather than the company's ownership itself, so losses on this front may not be as large as anticipated. The up side to the Cooper purchase by Apollo affects stockholders in Cooper, employees of the company, and the overall tire market in North America. The first point is simple: stock and investment recommendations for Cooper have, generally, been improving as share prices rise and the dust settles and analysts begin upgrading Cooper's status. Thomson Reuters upgraded Coopers from "sell" to "hold", They weren't the only ones. Five equities analysts gave the stock a "hold" rating (most upgrading it) while two moved it to a "buy" rating. This is basically good news for the company, whose earnings results have been mixed for the past few years (though not horrible). Cooper's employees and suppliers can also breathe a sigh of relief. Apollo hasn't said anything specific yet, pending the deal finalizing - which should happen in the next month - but Cooper's own senior management has made it clear that part of the deal includes keeping Cooper's operations in North America largely intact, which is conducive to Apollo who's primary reason for buying Cooper is to vastly increase capacity and gain U.S. market position. In an interview with Modern Tire Dealer, Cooper CEO Roy Armes said that "..we needed to find out what the deal would do to our operation and how it would impact our people. We needed to protect that side of it as well." He also noted that the deal would bring more products to the U.S., which is another point we should consider. That point coincides with our overall tire market improvement thanks to this deal. The North American market includes every type of tire you can imagine and, currently, Cooper only makes a fraction of those and is only 11th in size globally. Combined, Cooper-Apollo will become the 7th largest globally, which is quite the upgrade for Cooper. Think about what that means for wholesale negotiations for base materials to make products from and for capability in terms of volume shipping and you can get an idea of how this improves operations and costs. Add to that the expanded product portfolio this brings. Cooper makes almost no offroad-only tires for things like farm equipment, mining equipment, and the like. Apollo makes a lot of those. Cooper dealers can suddenly have access, if they wish, to a whole new market segment they didn't have before. This also brings more competition to the marketplace, which is usually a good thing. Last, but not least, Cooper tires will still largely be made in the U.S. So if Cooper can convince most of its buyers that this is still the case and that the overall ownership of the company is not as important, they'll be able to stay on top. Now you know the ups and downs of the Cooper-Apollo deal. What's your take?